Determining your Facebook budget can be a confusing task, and for most people can be a drain on their advertising budget. Throughout my Facebook ads career I have always found that sticking to the bare minimum in your daily budget especially at the beginning of your marketing campaign can save you a lot of money and forces you to squeeze every single dollar and eventually produce good results. 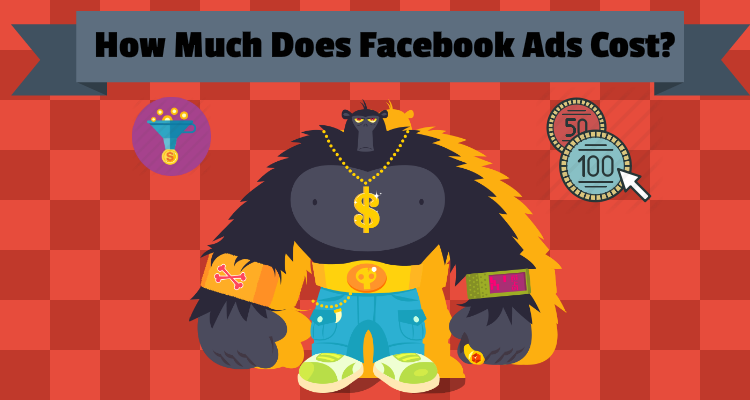 So How Much Is Facebook Advertising ? Since everyone has a different Facebook advertising budget, it would be unreasonable to bundle this method with all budgets. Having a bigger budget does in fact help out and expedite the testing process so you can go ahead and scale that wining campaign. Now, lets assume I have a $10 per day advertising budget to work with. When compared to other advertising networks $10 per day may not be enough to properly test out the ads and targeting available, fortunately with Facebook, $10 a day is more than enough to get your feet wet and start seeing some traffic and hopefully some leads. Facebook requires a minimum of $1 per ad set per day, so this means we are guaranteed to setup 10 different ad sets for $10. Within each ad set we can make up to 10 ads (you can make more but I wouldn’t do it since 10 is more than enough). Since each ad set is only spending $1 per day, Facebook would be forced to automatically split test between 10 different ads at only $1 a day. This method would give you the best possible solution with the allocated budget you have, so you wouldn’t need to have a massive budget to actually start seeing some traffic and you would eventually see leads and sales from such a small investment. I do go into much more detail about this in my facebook advertisement ebook here and how you can correctly split test the audience with different interests, demographics and behaviors to get relevant results than shooting for random interests and hoping for the best. Remember the more you can invest, the more you can split test and the higher quality results you can eventually get. Don’t ever tie yourself to one interest and always make the money you invest in marketing to work harder than you do.